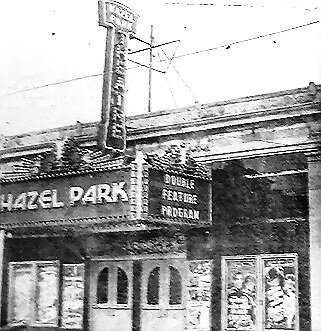 The theatre was on the east side of John R south of Nine mile road in Hazel Park,Oakland Co. MI. I walked past it many times growing up and going to school there. I have enjoyed looking at your web site. Special thanks to P. Stange for the picture.